Join us for a photography class that teaches amateur photographers to achieve the perfect animal photo. Nashville Zoo’s official Zoo photographer Amiee Stubbs will share her techniques and experience with the photography class participants. Don't miss this great opportunity! Class will cover: camera setup and basic rules, how to take photos of animals behind glass/fences and at a distance, picture selection and computer post-processing on a computer. A digital SLR or bridge camera is required for the class. Bringing extra batteries and memory cards is recommended. This photography class teaches children to achieve the perfect animal photo. Children can use any type of digital camera for this class. Nashville Zoo’s official Zoo photographer, Amiee Stubbs, will share her techniques and experience with the photography class participants. This photo class teaches teens basic photography skills to capture one-of-a kind animal photos. Teens can use any type of digital camera for this class. Nashville Zoo’s official Zoo photographer, Amiee Stubbs, will share her techniques and experience with the photography class participants. Instructor Amiee Stubbs is an expert on wildlife and motion photography. She will share her techniques and experience with the photography class participants. Amiee earned her B.S. in Photography from MTSU, and her animal photography has been featured in various local and national publications. Don't miss this great opportunity! Class will cover: adjusting camera to different situation, understanding animal behavior to improve your results, special behind-the-scenes photo opportunity. A digital SLR or bridge camera is required for the class. Bringing extra batteries and memory cards is recommended. Bring your camera and your laptop for Amiee's photography editing workshop that will teach you how to perfect your animal photos. Adobe Photoshop, Adobe Lightroom or Picasa are recommended, but any editing software can be used in this class. Topics will include cropping, color balance, sharpening, levels, cloning and more! Class will cover: editing tips and tricks, special close-up photo opportunity, post-processing on your own laptop. A digital SLR or bridge camera, as well as a laptop with photo editing software installed are required for this class. Learn how to capture amazing animal photos. 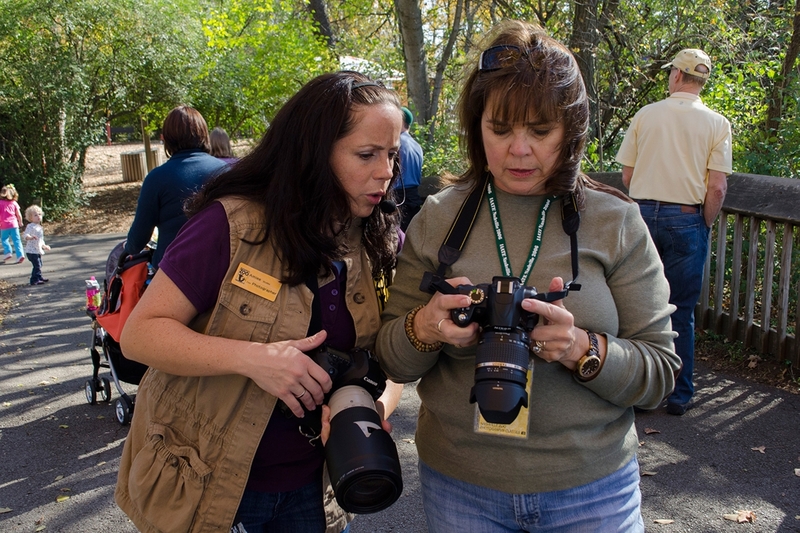 Private lessons with Zoo photographer Amiee Stubbs can be custom tailored to your needs. Choose between 2, 3 and 4 hour lessons. Up to three people can participate in a private lesson. Amiee will arrange a time convenient for all and will customize your itinerary. Class typically includes: camera setup, animal and motion photography basics, animal photography practice at the Zoo, animal behavior interpretation, picture review and post-processing basics. A digital camera is required for this course. *Add an additional person for $60 each. For novice photography students, a 3 hour or 4 hour lesson length is recommended. Use the link below to pay for your class. Education staff will contact you to set-up a time/date for your lesson. Please note: Photography lessons must be completed during the same calendar year as purchased.